Mercedes-AMG G63 Interior, Sat Nav, Dashboard | What Car? 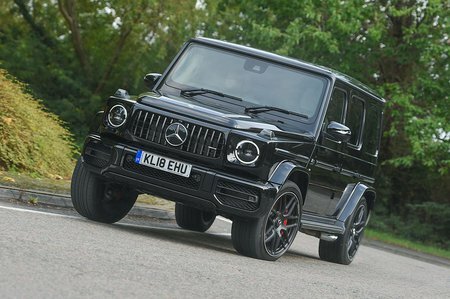 If the current G63’s driving dynamics are an improvement over the old G-Class, the changes to its interior are something else again – like stepping off the Cutty Sark and into the latest iteration of the Starship Enterprise. While you still sit high enough to stare down at Range Rover drivers and have a fantastic view of the long, flat bonnet, you can tell this is a new car rather than a rehash of something that was launched at the time Margaret Thatcher was coming to power. Sit behind the flat-bottomed steering wheel and you’re greeted by a pair of 12.3in digital displays – one for infotainment and one replacing conventional dials. Both are configurable, easy to read and and have pin-sharp graphics. Although the infotainment system is primarily controlled by a rotary dial between the front seats, there’s also a touchpad that you can use to enter handwriting. Alternatively, there are touch-sensitive pads on the steering wheel – the left one for infotainment and the right for the dials. While that sounds confusing, you soon learn to operate the system fairly instinctively. And, aside from the slightly confusing menu structure and occasionally laggy menus, it’s a system that is beaten only by BMW’s iDrive. Android Auto and Apple CarPlay are standard, as is a decent-sounding 590W Burmester surround-sound hi-fi. 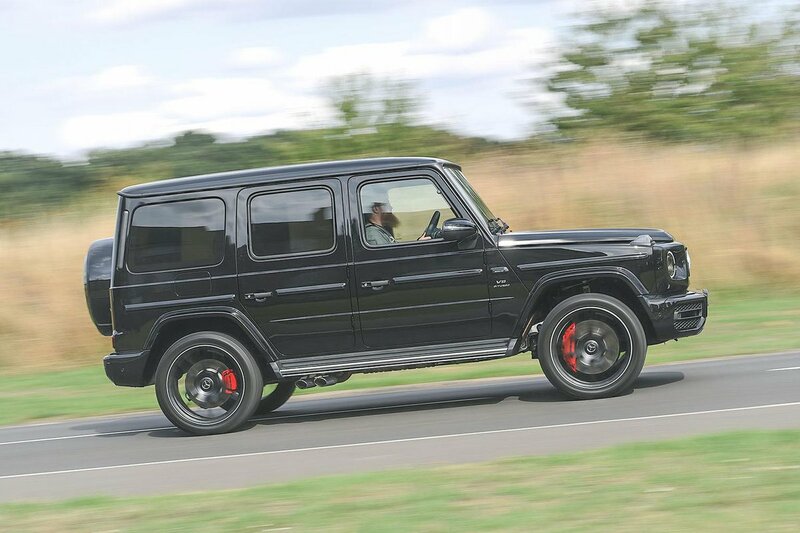 Elsewhere, buttons and other controls work with pleasing precision and there are enough G-Class styling cues – the passenger grab handle and three centrally positioned diff lock buttons – to remind you of what you’re sitting in. The driving position is also very hospitable with a steering wheel, seat and pedals that all line up, and a reasonable amount of room for your left foot. A useful increase in interior width means you feel a lot less hemmed in than in the previous model, too. However, while the standard electric seat with memory should, in theory, allow anyone to get comfortable easily, the omission of adjustable lumbar support from the standard equipment list is rather shocking. You can choose to add it, along with a sumptuous massaging seat function. Meanwhile, the unusually flat, upright windscreen and thin dashboard endow it with a distinctly retro feel, and visibility is generally very good. The car's square sides and pronounced wheel arches make it easy to place on the road and most of the windows are huge. Rearward visibility is an exception, though; the tailgate-mounted spare wheel partially obscures your view through the rear screen, and makes reversing a little tricky. Still, parking help is at hand from a standard 360deg camera system.